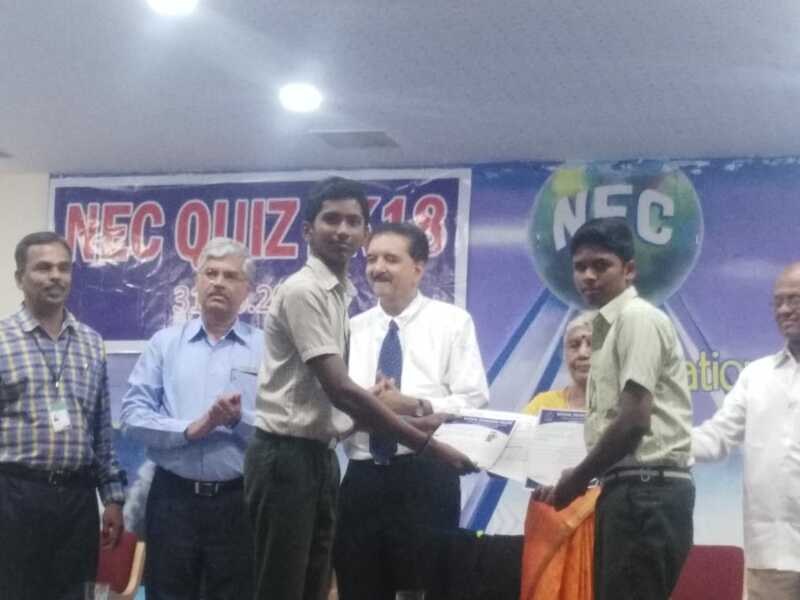 National Engineering College, Kovilpatti conducted a state level quiz competition for the Higher Secondary Students on October 31, 2018. The Quiz was hosted by the Quiz master Dr.Sumanth C. Raman. The Competition drew participation from 108 teams representing various schools in Tamilnadu. 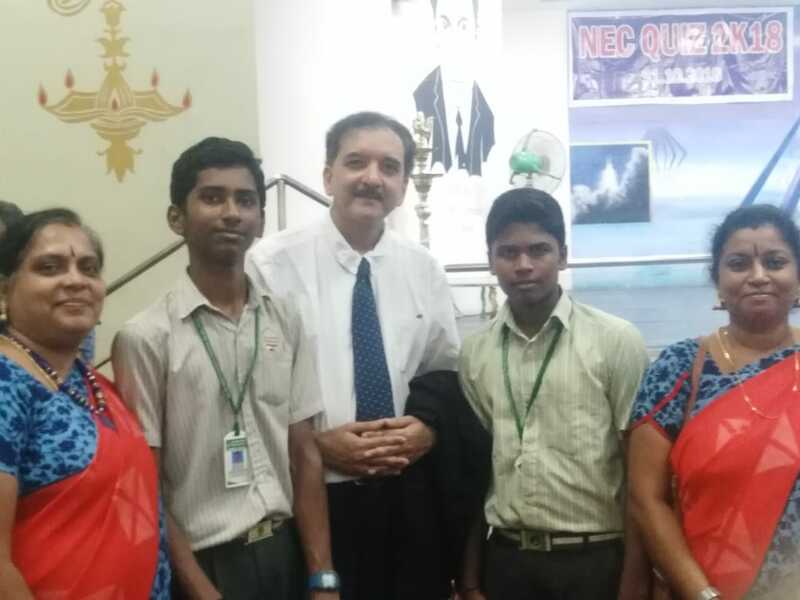 Sri Siva Murugan -XII and Selva Muthu Balaji-XI , our consistent and dynamic quizzers represented our school. A written prelims with a power point projection was conducted by Dr.Sumanth C. Raman for the 108 teams. Out of that the top 8 teams were called upon on stage to take part in the Finlas. In the Prelims our students and Madurai TVS School boys scored 15 ½ marks out of 20 which was announced as the first mark for the prelims. The Finals was conducted very differently by the Quiz master throwing all the questions open to buzzer. Totally there were 8 rounds, out of which 7 rounds were buzzer. So the whole vent was like a life or death for the teams on stage. The last round of the show was long connectivity. 8 clues were shown one after another on the screen and whoever cracks the theme will be awarded bonus points. It was our students who cracked the theme and scored 20 bonus points. Inspite of that we were able to won the Second place in this State Level Quiz. Our students were awarded 15000/ cash prize. In the school assembly they were appreciated by Our Principal and our special Guests Mr.William Winfield and Mr.Paul Bickerdike. This entry was posted in Uncategorized by srijayendra. Bookmark the permalink.